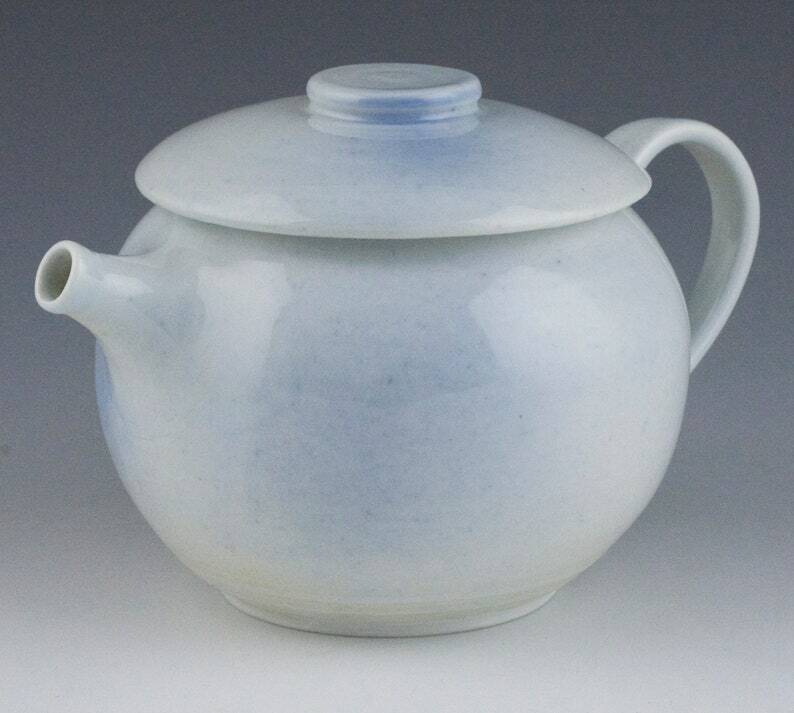 This one-of-a kind porcelain tea pot was wheel thrown and constructed by hand. It has been glazed in a glossy white overlaid with a blue "mist." It is the perfect size for two holding 22 ounces.